After more than two decades in power, the ruling National Conference (NC) was voted out by popular mandate in the 2002 Assembly elections in the state of Jammu and Kashmir. 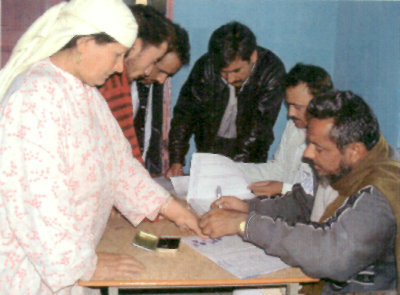 The elections, held over four phases in September and October 2002, witnessed an average turnout of about 44 percent. However, what made these elections different from those previously held in the State was that nearly all political parties, independent candidates, non-governmental groups, human rights activists, media (both domestic and foreign) and most importantly, the international community, appreciated the credibility of the elections and the results that followed it. 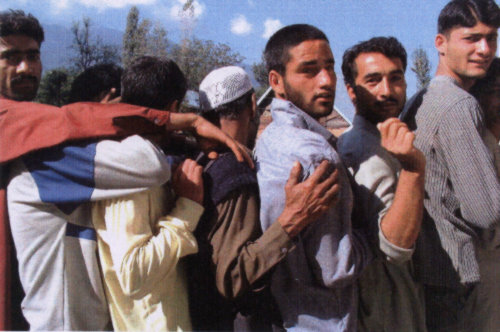 Despite the violence during the run-up to the polls and the increased threat of violence during the actual polling, the people of Jammu and Kashmir came out to exercise their franchise. The ruling NC, which had 57 seats in the 1996 assembly, was overwhelmingly voted out of power and could manage to retain only 18 seats in the 2002 elections. Observers termed the verdict as an anti-NC mandate of the people who clearly wanted a change in the State. The elections are also a victory of the ballot over the bullet as the participation in all the phases was around 40-45 percent. Before the first phase of the polls on 15 September, about 250 people including political activists and probable candidates were killed in terrorist attacks. However, polling in the first two phases for 23 and 28 assembly segments in Jammu and Kashmir districts passed off without any major incidence of violence. The turnout in Phase I was around 47.28 percent and in Phase II, it was 42 percent. The lowest turnout of 1 percent was recorded in Habbakadal in Srinagar whereas the highest turnout of 59 percent was at Chrar-e-Sharif. During the third and fourth phase of polling held in October, 41 and 46 percent of the electorate exercised their franchise. Overall, the Election Commission of India estimated the turnout to be around 45-46 percent. Though this was low compared to the 1996 elections, however, the fact that people came out to vote despite the fear of terrorist attacks lends more credibility to the process. Also, the people voted decisively to overthrow the ruling NC whose last term in the government was largely seen as corrupt, inefficient, unsympathetic to the needs of the people of the State. Moreover, the results were a predictable consequence of the distance that had come over the last few years between the NC leadership and the people of the State. While the former Chief Minister Farooq Abdullah was criticised for spending more time in New Delhi than in Srinagar, other NC ministers were blamed for the massive corruption that was affecting the daily life of the people. 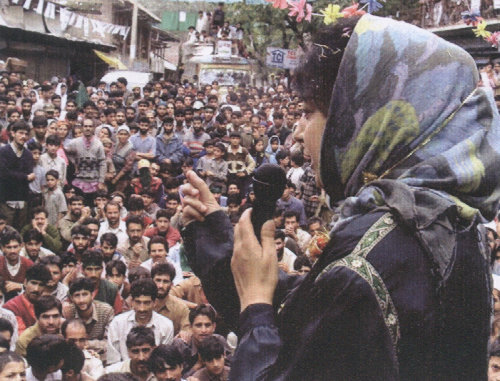 Amidst such political circumstances, the People's Democratic Party (PDP), under the leadership of former Union minister Mufti Mohammad Sayeed and his daughter, Mehbooba Mufti, effectively incorporated into the party's campaign manifesto, issues with which the common people identified. For instance, the PDP promised a corruption free government, unconditional dialogue with militants, disbanding the Special Operations Group (SOG), providing a 'healing touch' to those affected by militancy. While the NC had a hardline position on these issues, the PDP clearly understood the mood of the people, especially in the Valley. The result was that the PDP won all of its 16 seats in the Kashmir valley on an anti-NC and pro-people campaign. The PDP also managed to raise all those issues that till now were mostly talked about by separatist outfits. The NC was punished even in Jammu where the party could manage to win only 9 seats as compared to the 14 it had in the 1996 elections. Clearly, there was an anti-incumbency and anti-NC mood among the voters in the State. The main reason for the NC's dismal performance is directly linked to its leader, Dr. Farooq Abdullah. Just three months before the elections, the senior Abdullah passed on the leadership of the party to the young and largely inexperienced Omar Abdullah. Farooq Abdullah also did not participate extensively in the NC poll campaigns and rallies. He is also criticised by the people for spending most of his time in New Delhi rather than looking after governance in the State. Though the people of the State perceive Omar as a honest politician when compared to his father and other NC leaders, however, even he lost in the party's traditional seat of Ganderbal to the PDP's candidate Qazi Afzal. Omar blamed internal factions within the party as the main reason for his electoral defeat. Another significant aspect of the elections was the performance of the independent candidates and parties like the J&K National Panther's Party of Bhim Singh. While Bhim Singh's party won four seats, the CPI (M) under Yusuf Tarigami's leadership won two seats. Given the fractured verdict, even a Congress-PDP alliance would have fallen short of the number of seats required to form the government. Seven independent candidates including the two MLA of the CPI (M) formed the Democratic People's Forum (DFP) and announced their unconditional support to any non-NC dispensation that stakes claim to form the government. Though the NC, at one point of time, claimed the support nearly 10 independent candidates, however, the fact was that the non-NC parties and candidates were working extensively against a probable NC's return to power. After nearly two weeks of deliberations, the stalemate in government formation was finally broken with the Congress and the PDP consenting to stake claim. Together, the two parties have 36 seats in the assembly, 8 short of the required number. However, the support of most of the independent candidates and other parties ensured that the coalition has sufficient numbers to form the government and relegate the NC to the opposition benches. In the violence unleashed by cross-border terrorist during the electoral process, more than 200 civilians, 45 political activists including 28 of the NC and 5 of the PDP, and 143 security services personnel were killed. On the other, around 35 militants were eliminated by the security forces during the same period. However, what is encouraging about the democratic process in the state, till now dominated by the NC, is the fact that more candidates and political parties are joining the electoral process. Compared to 1996 when only 546 candidates contested, this time, the figure was 710. Participation of the electorate in the rallies was also higher this time despite the threat of violence. However, with the Congress and the PDP agreeing to a Common Minimum Programme (CMP), the focus has now shifted from government formation to the issue of governance. In the coming days, the coalition will be tested both for its ability to withstand the desire for power as well as its capability to perform to the expectations of the people. While the Congress, citing the larger interests of the State and the nation, has given the first three years of chief ministership to the PDP, it remains to be seen as to how the national party is able to explain this to the Congress legislators from the State, especially from the Jammu region who wanted the PCC president Ghulam Nabi Azad to lead the coalition. Also, there are inbuilt strains within the coalition as both the Congress and the PDP have different positions on issues such as engaging the militants in a dialogue, disbanding of the SOG etc. While the Congress, being a national party, would see these issues from a national security perspective, the PDP, which is clearly a regional party with its constituency limited to the Valley, would attempt to honour its electoral promises. Ensuring political stability, in such a situation, would be a demanding task for the coalition allies.